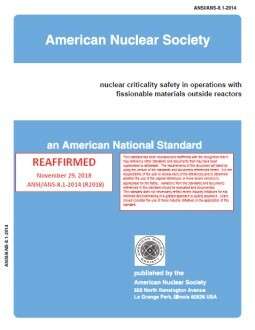 This standard is applicable to operations with fissionable materials outside nuclear reactors, except for the assembly of these materials under controlled conditions, such as critical experiments. Generalized basic criteria are presented, and limits are specified for some single fissionable units of simple shape containing 233U, 235U, or 239Pu, but not for multiunit arrays. 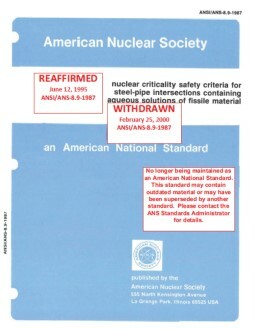 Subcritical limits for certain multiunit arrays are contained in ANSI/ANS-8.7-1998 (R2012).